A modern gas lift stool, the Anna Bar Stool is chrome plated with faux leather padded seating. Avail..
A modern gas lift stool, the Anna Bar Stool is chrome plated with faux leather padded seating. A.. 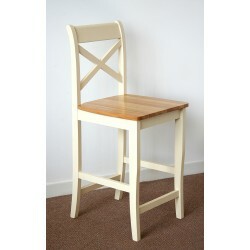 The Clermont Bar Stool is a versatile, functional bar stool which would suit both a traditional or .. The Faye bar stool is a stylish gas lift stool with steel base and foot rest. Gas LiftPolishe.. Available in Brown, Black, White DIMENSIONS H110 W50 L48cm.. Creating a bespoke look with presence and character, the Casey Bar Stool is the epitome of refined .. The industrial, contemporary flair of the Delta Bar Stool is perfect for the style savvy home.Elm W.. The Duke Bar Stool is carefully crafted using bi-cast leather and solid oak legs. Pictured here in .. The Elis bar chair is a modern style that will suit any interior space. Available in a range of col.. The Hunter Bar Chair is the essence of contemporary industrial chic. Elm WoodSteel Available i.. The design led simplicity of the Seattle stool adds a distinctive contemporary sophistication to an..
Terrano Bar Stools are a fantastic collection of comfortable high back stools which feature a brush.. The Vittorini high back cantilever bar stool offers excellent seating position together with exquis..